rinse, peel and chop the mangoes. 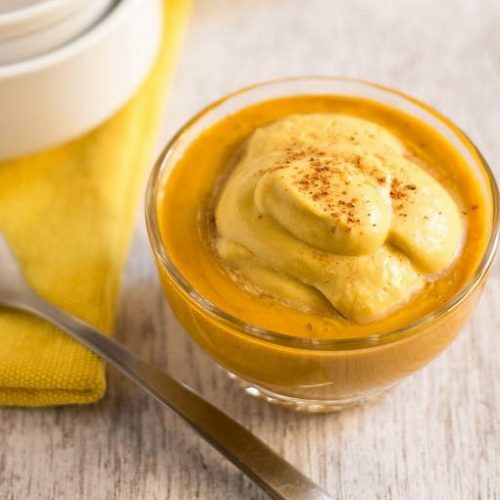 in a blender, puree the mangoes with coconut sugar or powdered jaggery till smooth. add the coconut cream and blend again till smooth. pour in bowls or glasses. blend the reserved coconut cream with some coconut sugar. top this on the mango cream. sprinkle some cinnamon powder or cardamom powder on the top. refrigerated or serve the mango cream straightaway. if you don't have coconut cream, then you can use regular cream.